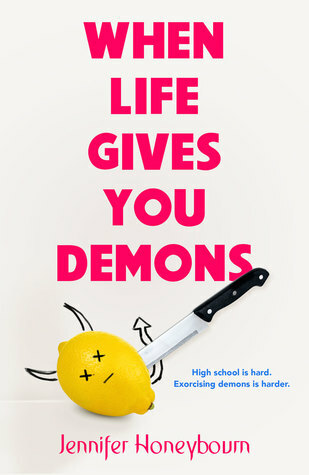 When Life Gives You Demons is another fun romantic comedy from Swoon Reads. 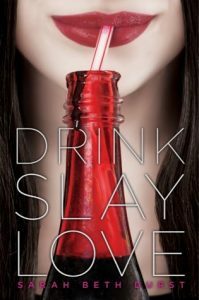 With a unique premise, a wonderfully snarky main character, and a pretty adorable romantic interest, When Life Gives You Demons has a little something for everyone. The premise of When Life Gives You Demons is what really hooked me. 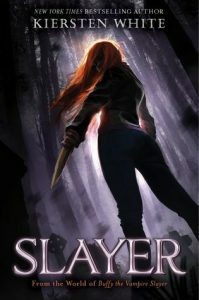 A YA novel about an exorcist-in-training? It was definitely a unique idea for a story. While the story had a ton of potential, it fell a little flat in the execution. From Shelby’s inner ramblings, it’s clear that she’s been training and learning all she can about demons and exorcisms for quite some time now. However, none of that information is shared in the story. There was almost no backstory or buildup to Shelby’s fledgling career as a teen exorcist. It also sometimes felt like the whole exorcism thing was just a side story to Shelby’s love life. With a title like When Life Gives You Demons, I expected a lot more demons than were featured in this story. Obviously, with it being a Swoon Reads title, you can expect some romance. I genuinely enjoyed Shelby’s romantic escapades. Things never quite worked out the way she wanted them to when it came to her time with Spencer. Whether it be exorcism training or a rogue demon, things always got in the way of their time together. As for Spencer, he took most of it remarkably well. He was a little nerdy (the best kind of guy, in my opinion) and clearly very interested in Shelby. He was willing to put up with a lot in order to get to know her better. There were times when he seemed a little too perfect but I was willing to look past that. As for Shelby, she was definitely one of the redeeming factors of When Life Gives You Demons. Her snarky personality came across the page remarkably well and I found myself laughing at quite a few of her antics. She didn’t always think things through, but it made for a much more entertaining story. In her case, when life gives you demons, try your best to exorcise them but if that doesn’t work, just call your uncle. He’ll fix it. Her attempts at single handedly exorcising demons were nothing if not humorous. Overall, When Life Gives You Demons may not be the most well thought out book but it’s full of laughs and some super cute moments. Jennifer Honeybourn has some serious potential and I look forward to checking out more books from her.